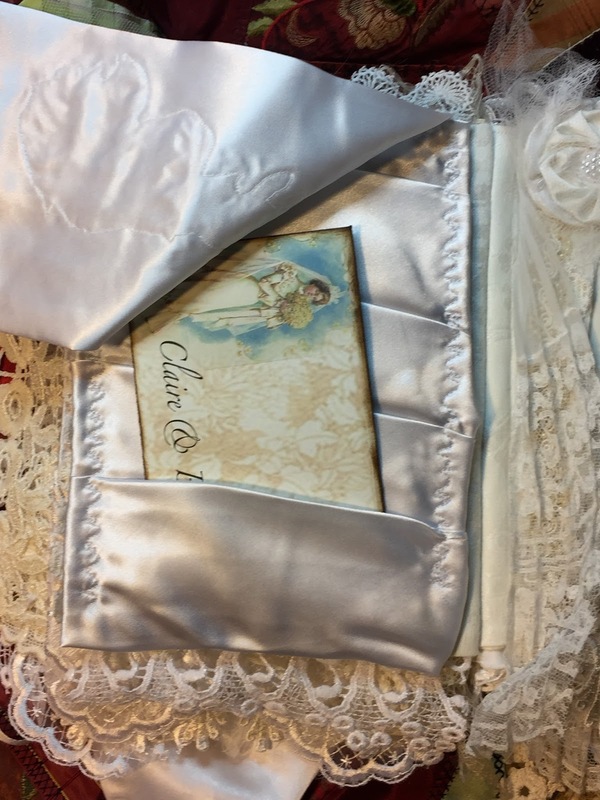 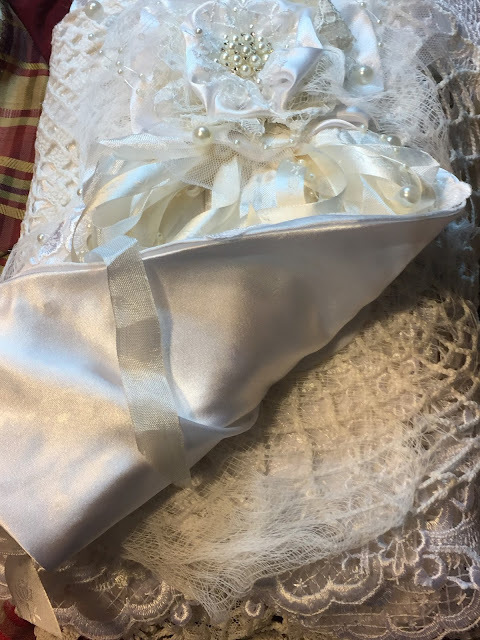 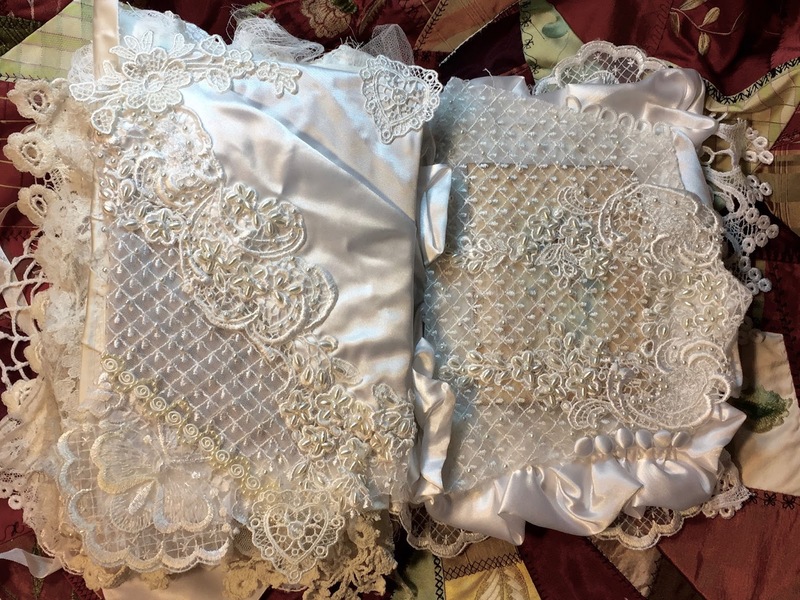 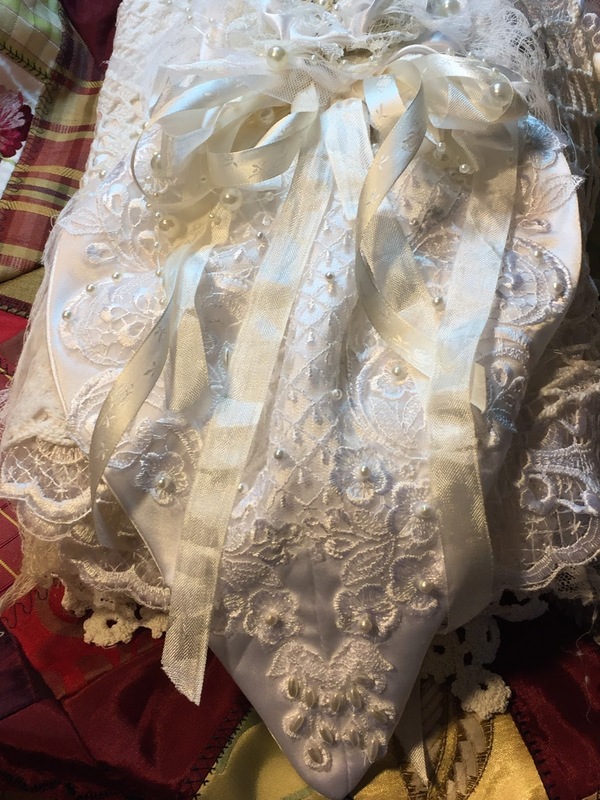 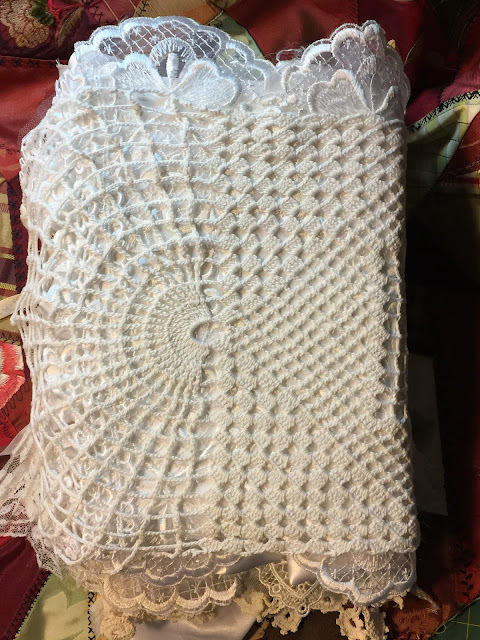 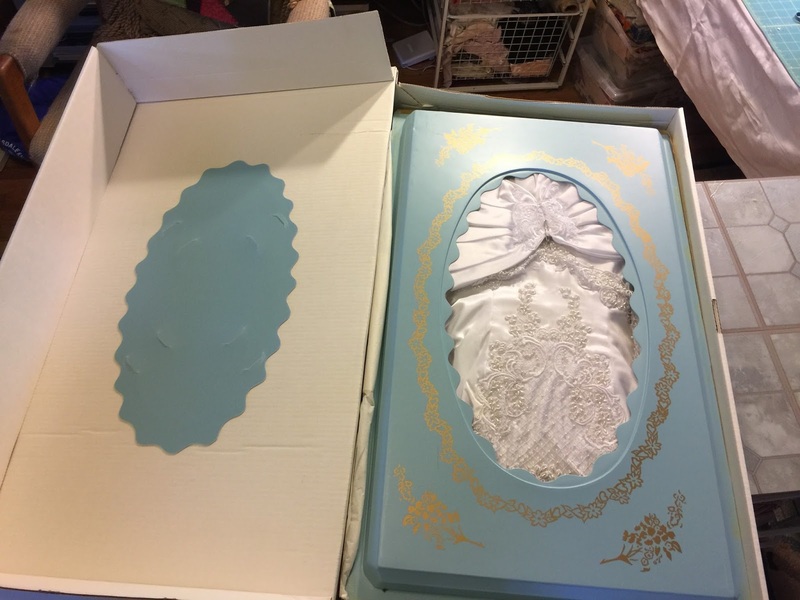 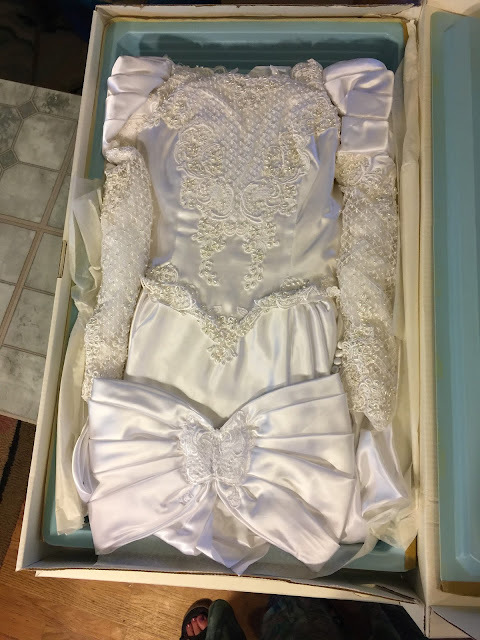 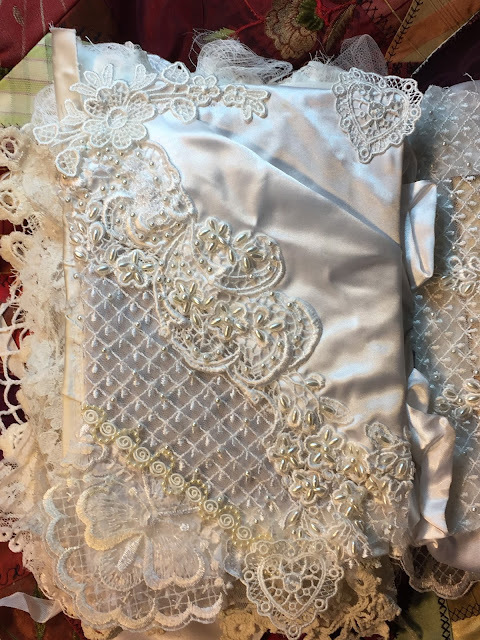 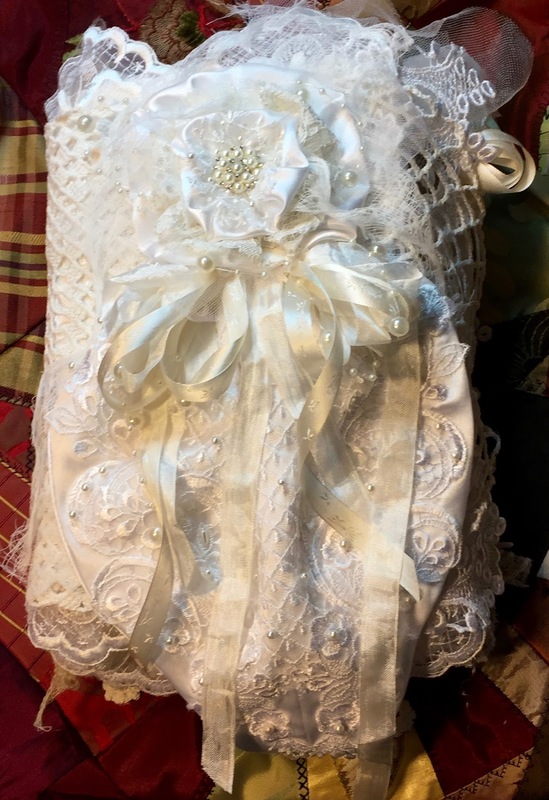 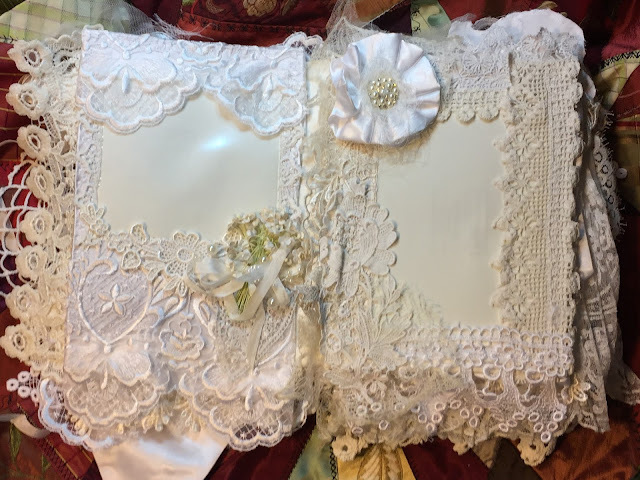 Just completed this album created from my Cousin Claire's wedding dress. 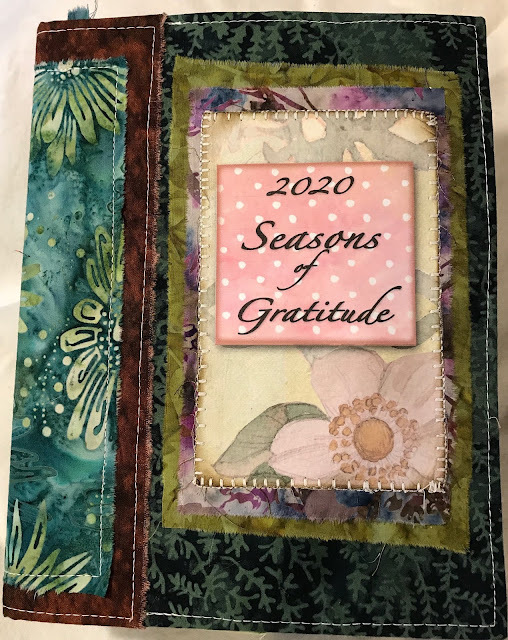 So much fun to make! 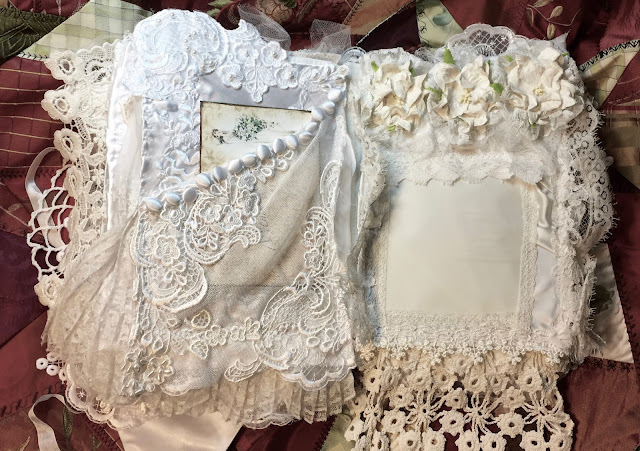 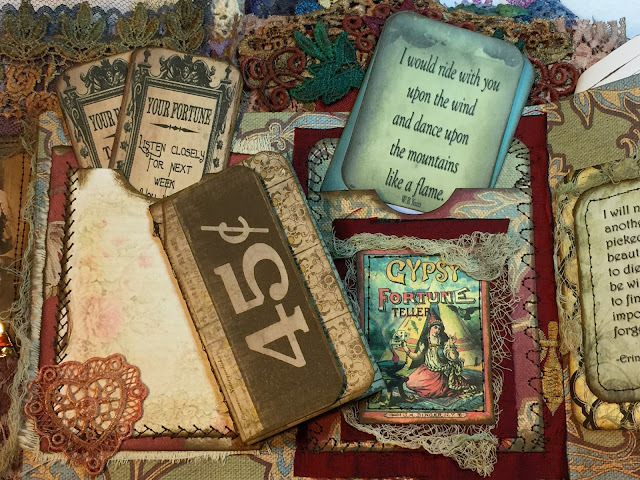 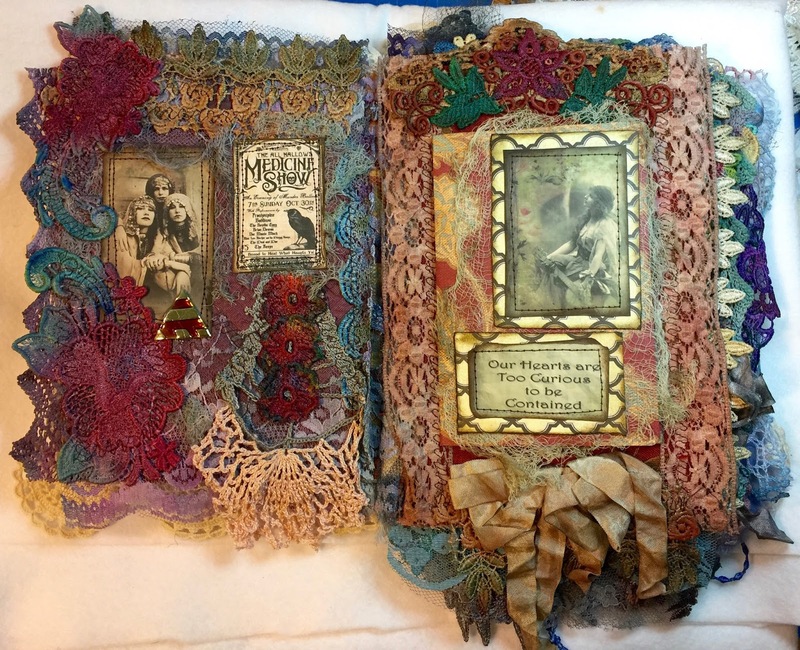 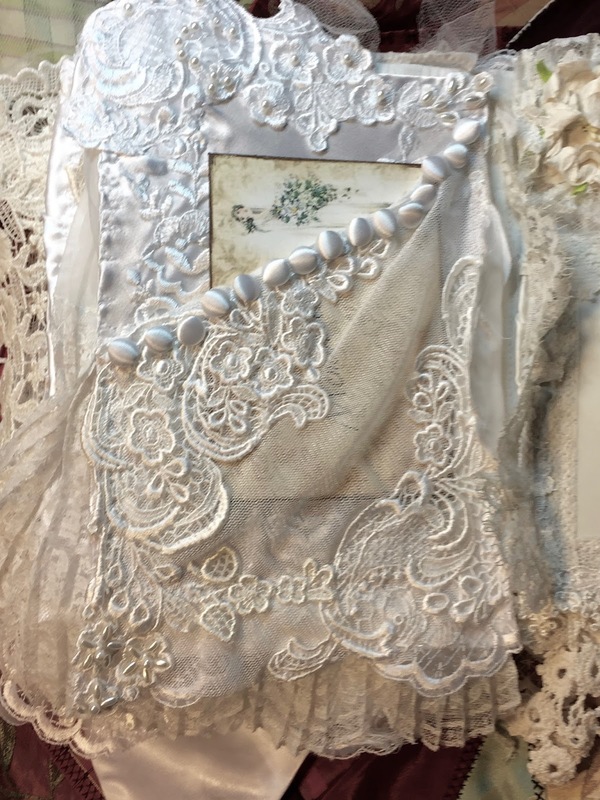 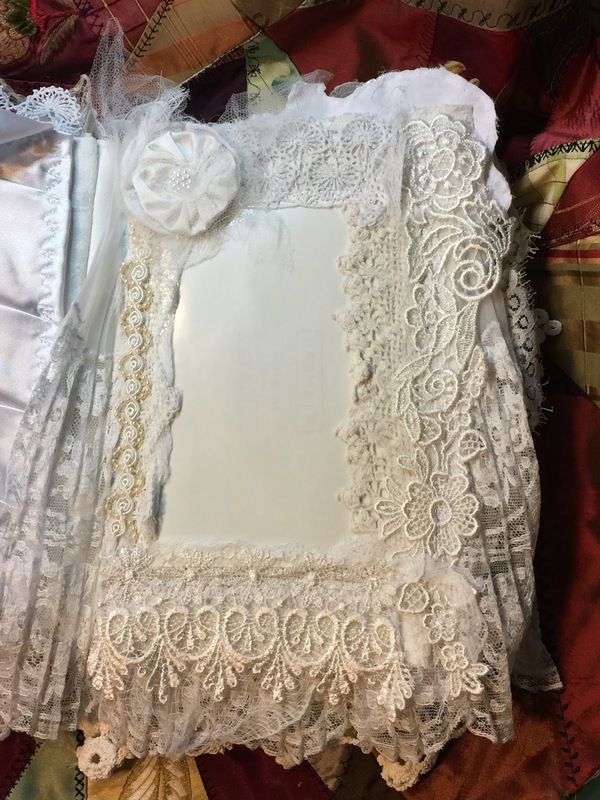 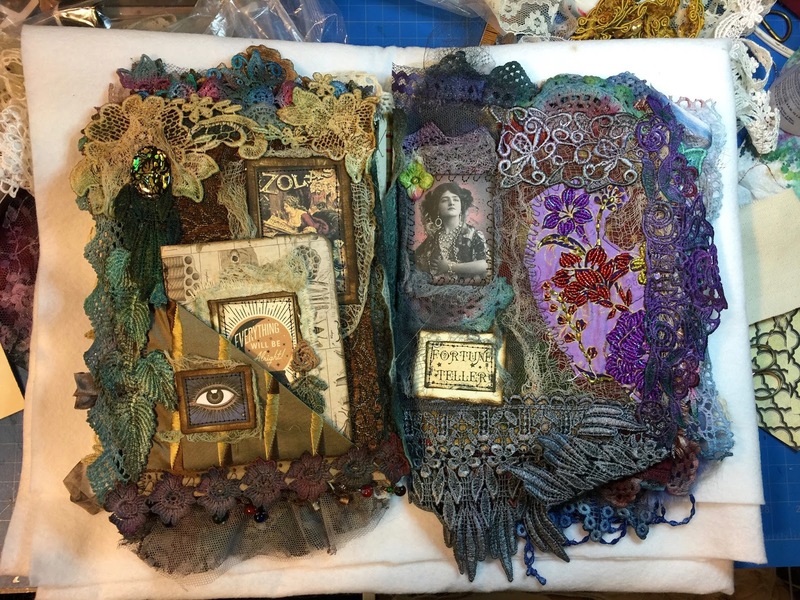 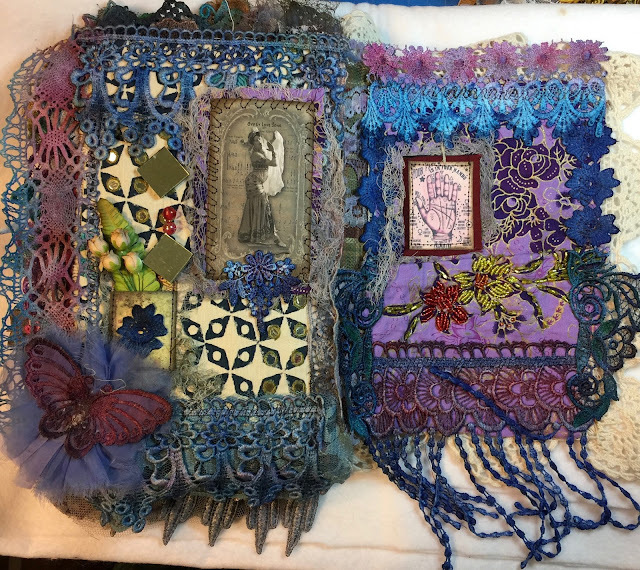 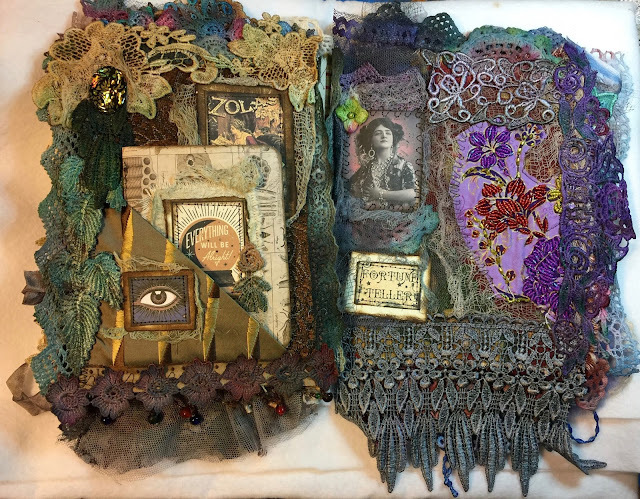 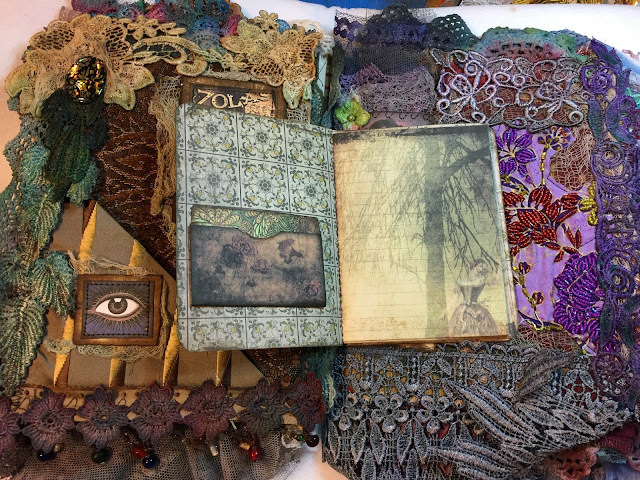 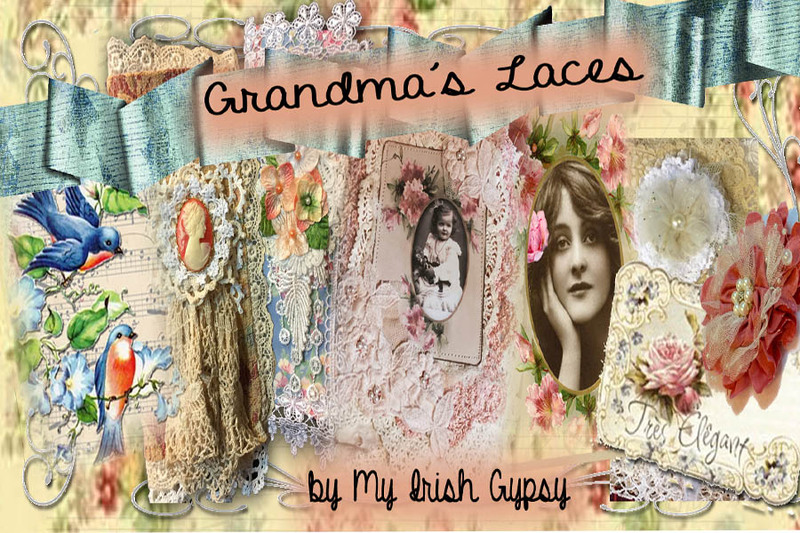 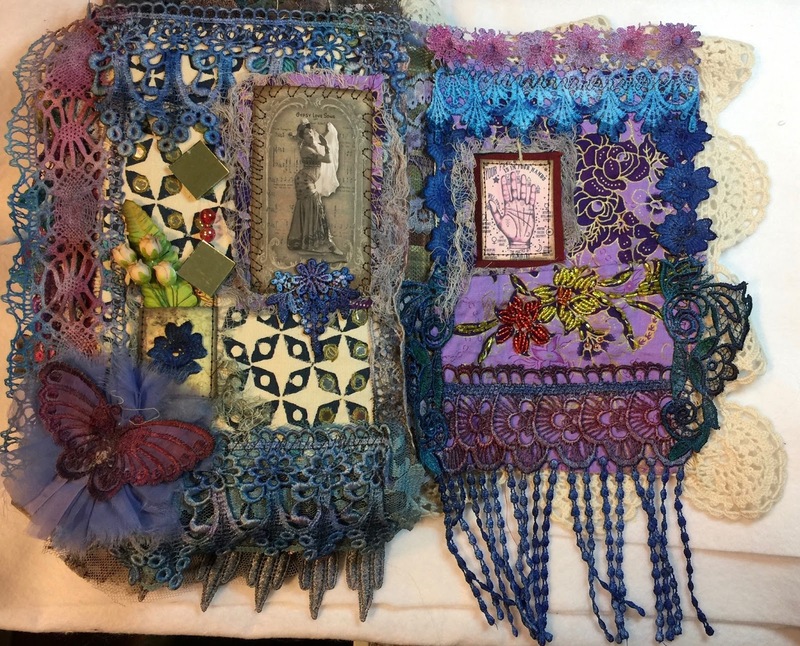 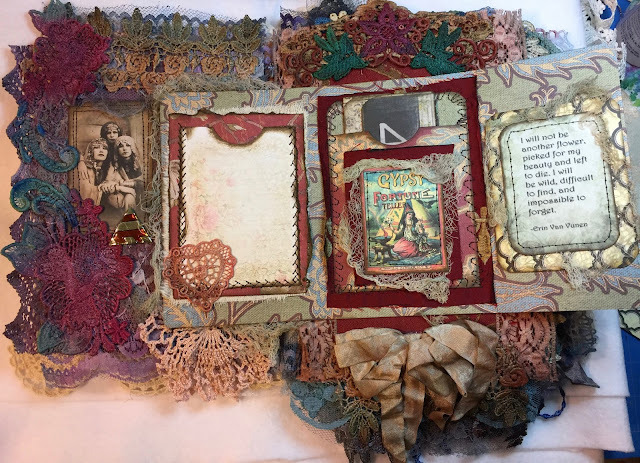 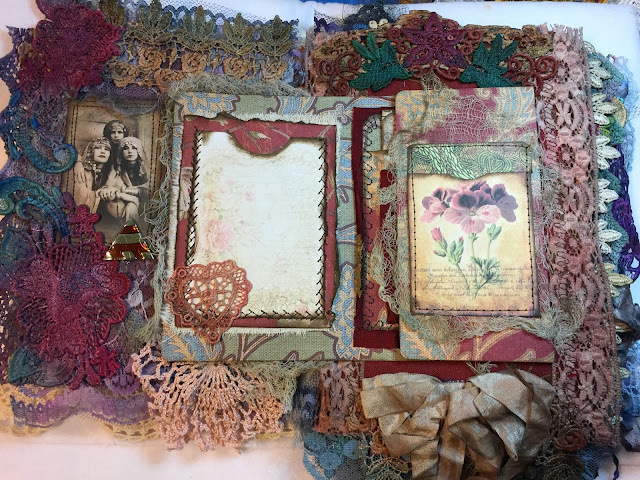 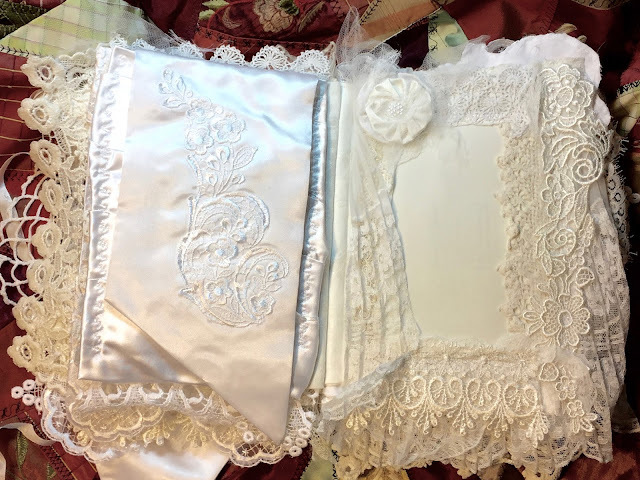 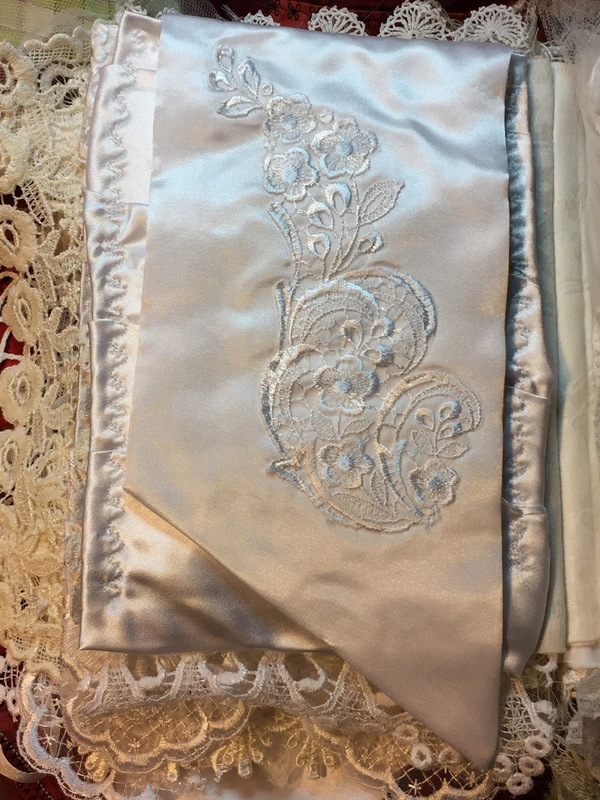 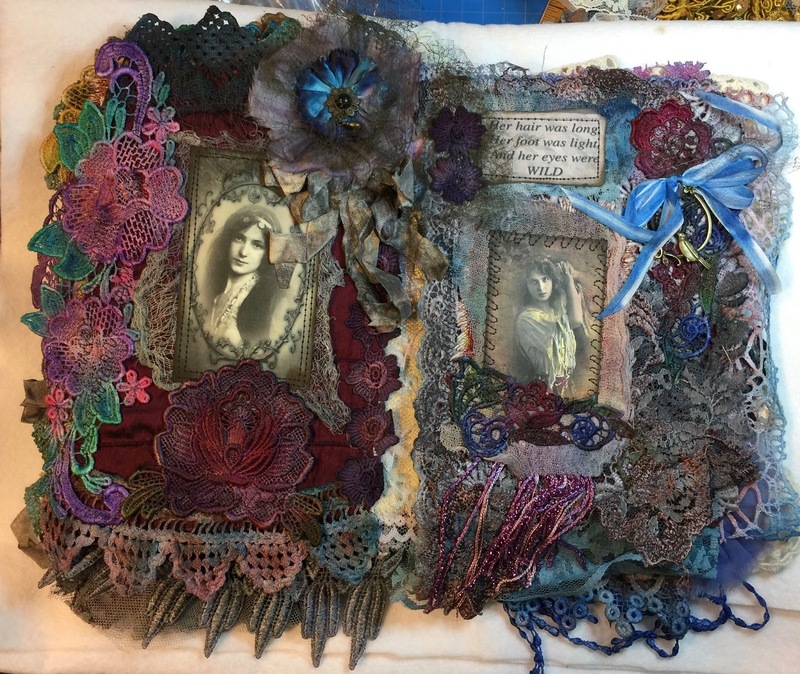 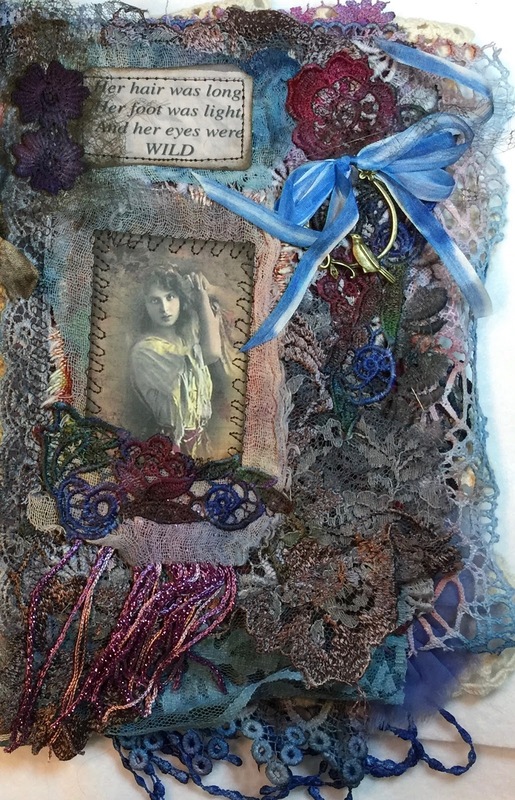 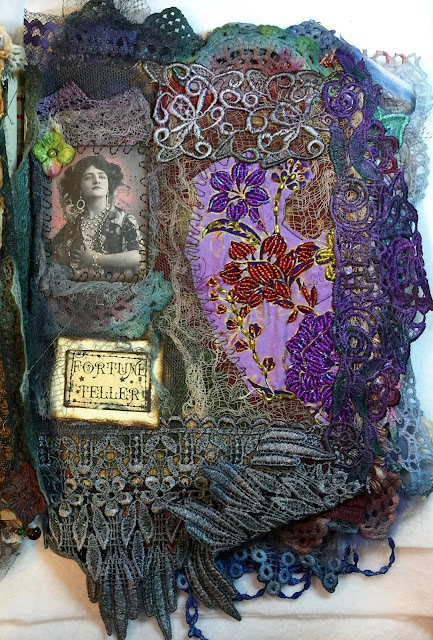 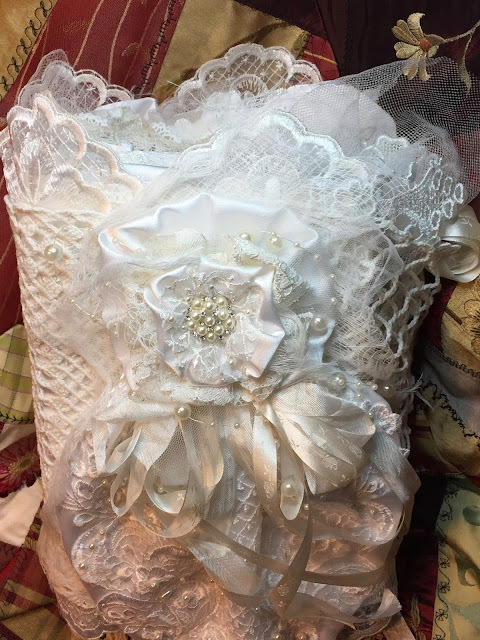 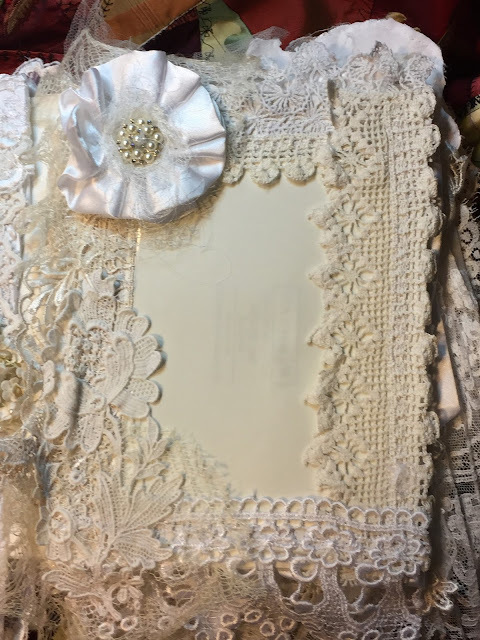 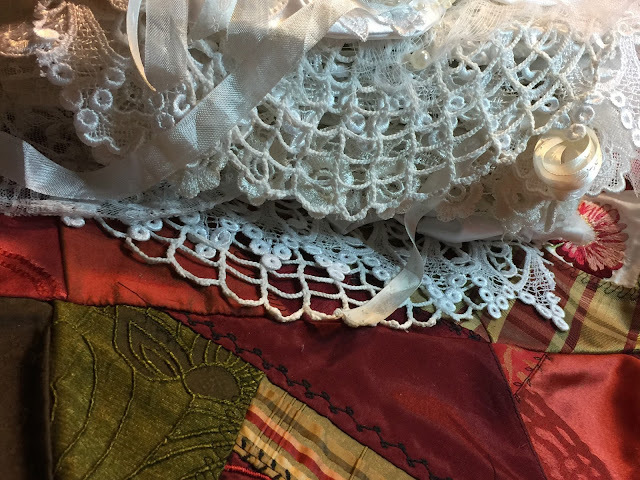 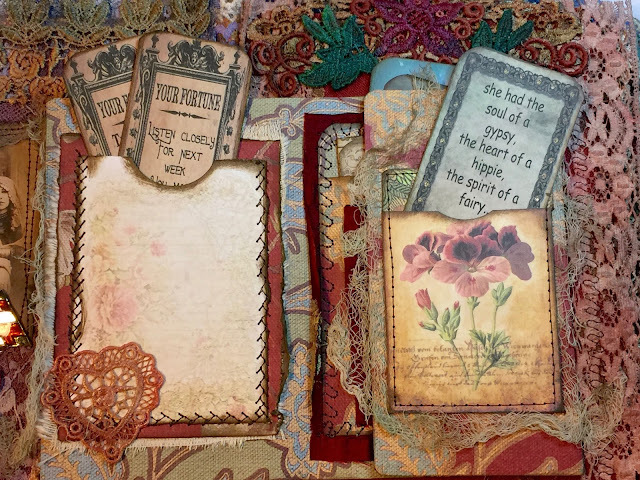 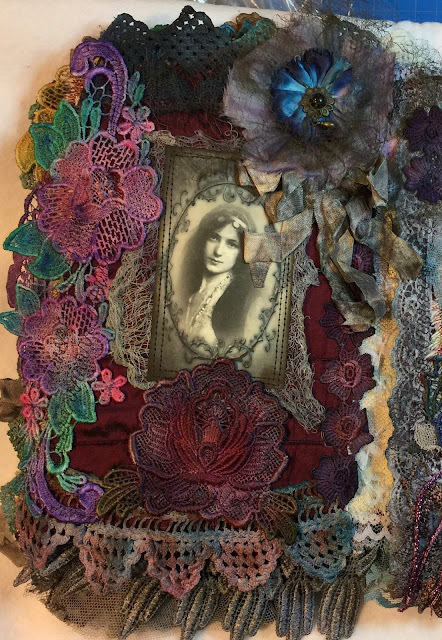 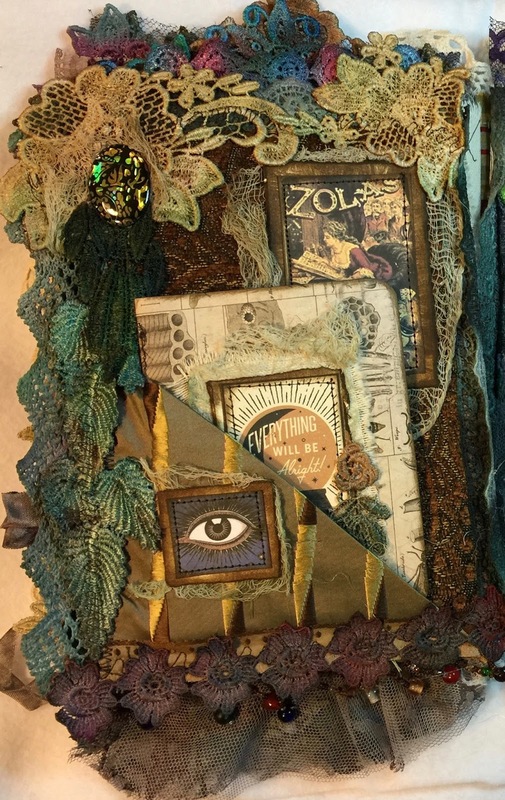 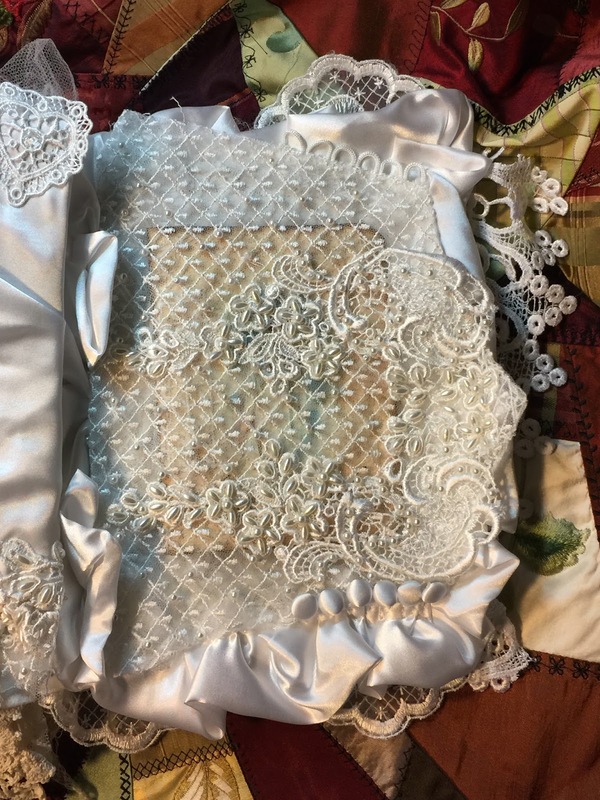 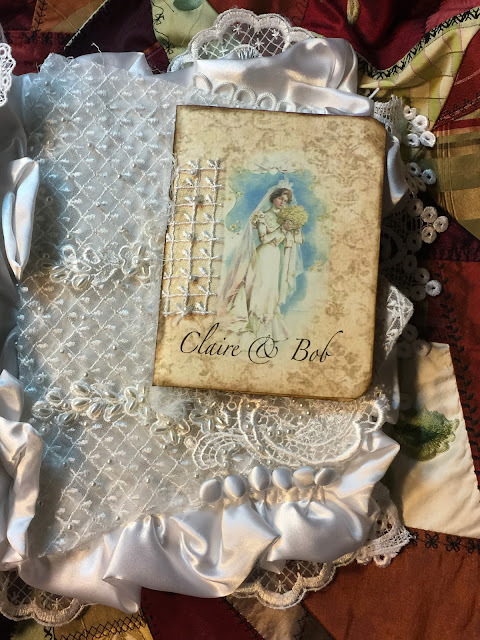 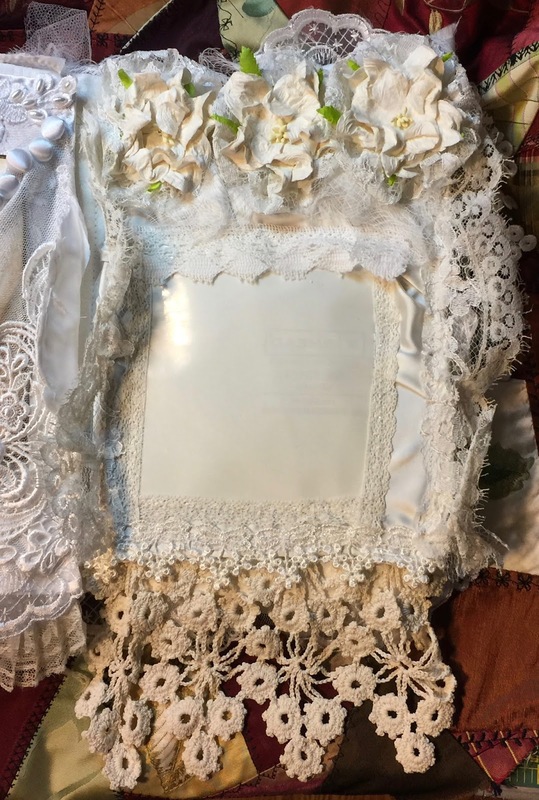 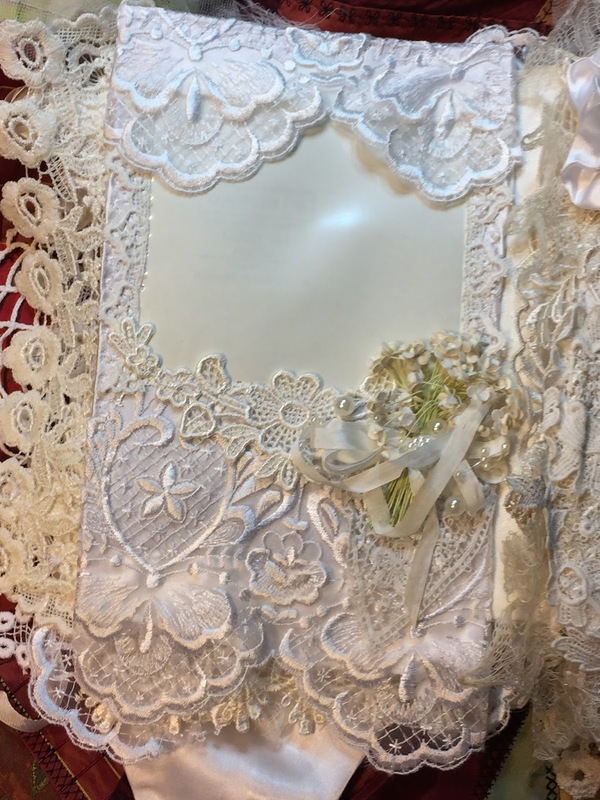 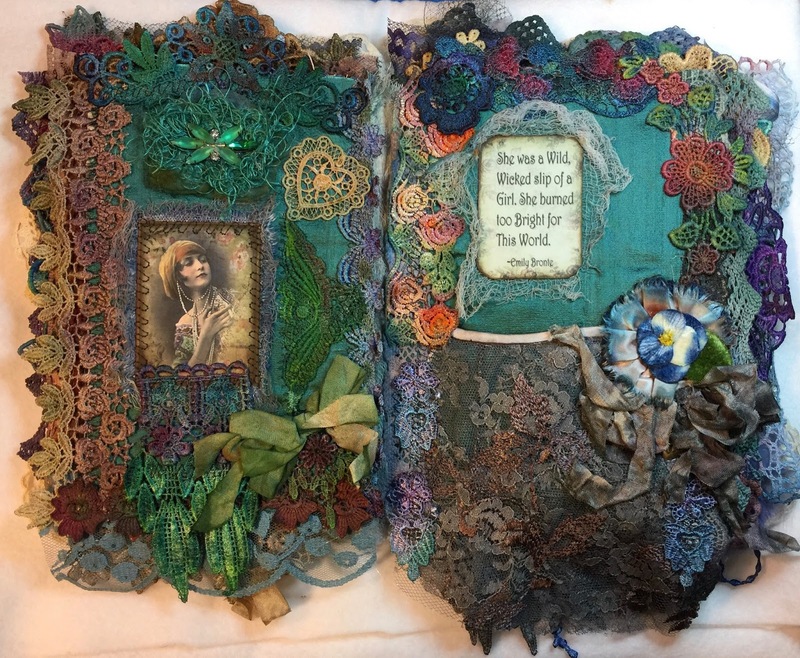 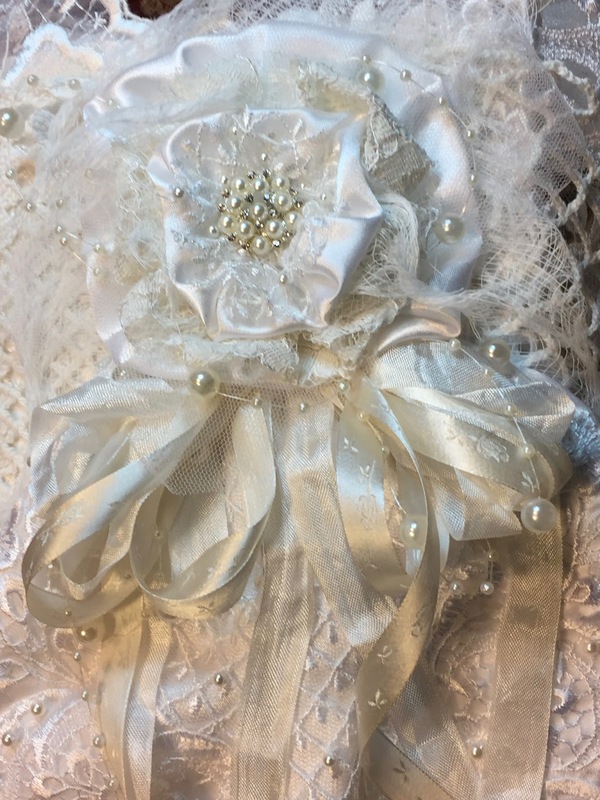 This Mixed Media Fabric and Lace Collaged book is filled and flowing over with dozens of painted appliqués and laces! Measures a thick and juicy 8x12". 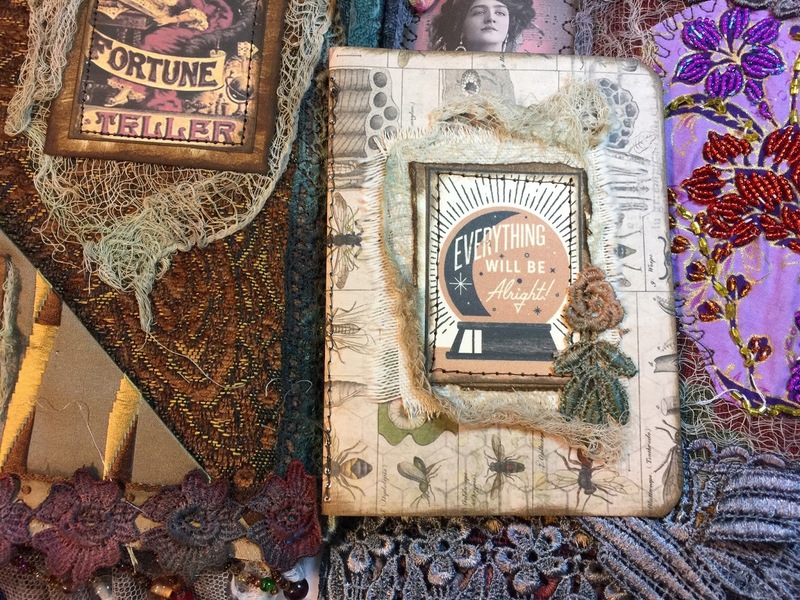 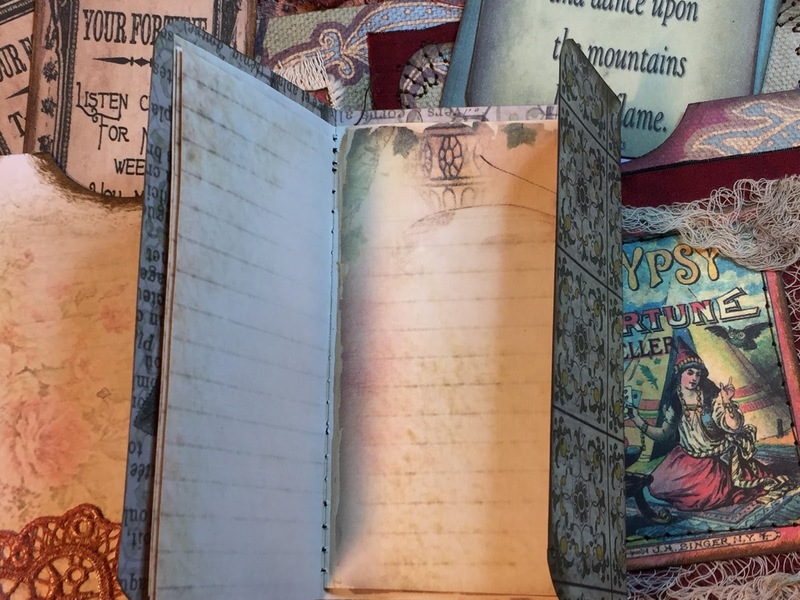 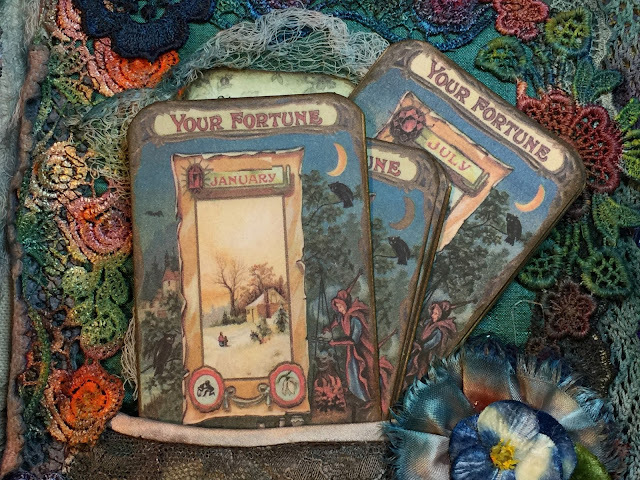 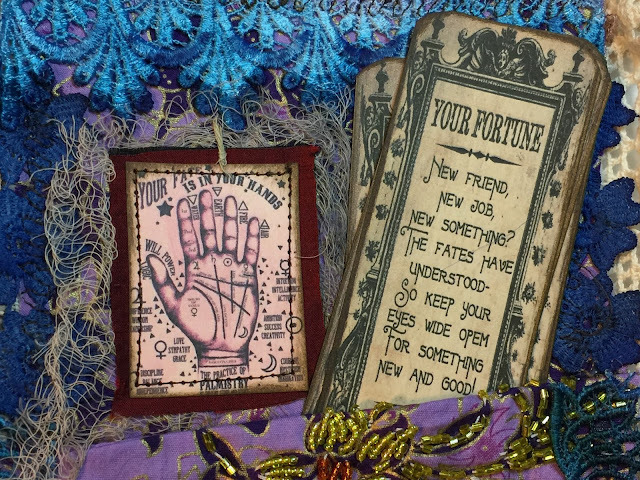 With MANY pockets, LOTS of Fortune tags, and several mini journals for your thoughts. 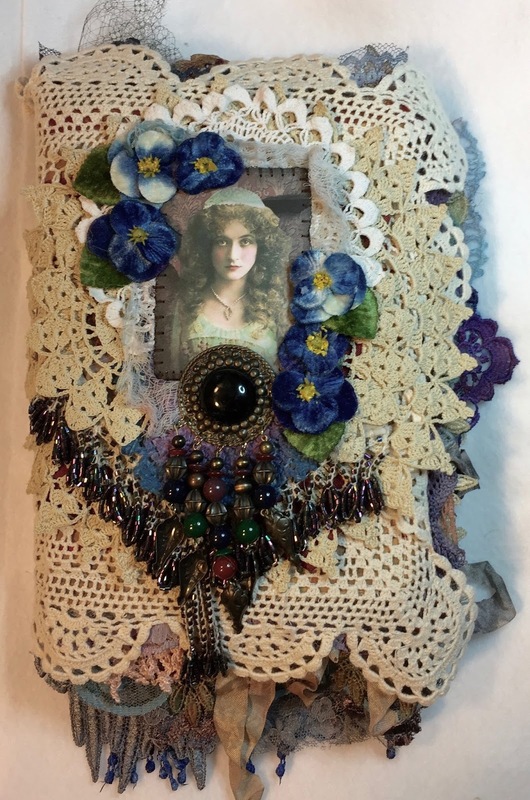 On sale in my ETSY SHOP.